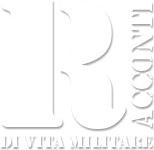 The 10 ^ edition of the MIADIT Italian Training Mission in favor of the Palestinian Security Forces, in the context of the bilateral intercurrent relations, starting from the year 2012, between our Republic andPalestinian National Authority. About thirty instructors of the Carabinieri Corps - for twelve weeks - will train the various Palestinian military and police units. The initiative is part of the capacity building operations set up by the Carabinieri in various missions outside the area, in order to support the development of local police forces. During the 12 training weeks the General Command of the Weapon will send to Jericho some teams in contact with the aim of providing highly specialized training in the logistics, protection of cultural heritage and environmental protection. - increase the presence and national influence in the area, on the bilateral level and of the main international reference organizations.